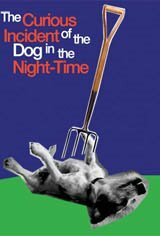 Fifteen-year-old Christopher stands beside Mrs. Shears’ dead dog, who has been speared with a garden fork. It is seven minutes after midnight and Christopher is under suspicion. In order to solve the murder mystery, he records every fact in a book. Though Christopher is not the best at interpreting everyday life, he has an extraordinary brain and is exceptional at math. While he has never gone further than the end of his street by himself, Christopher plays the detective in this case, though forbidden by his father. What follows is an investigation that takes Christopher on a frightening journey. Based on the book of the same name written by Mark Haddon.